It’s Katy Perry’s world, we’re all just living in it. Or following along via Katy Perry’s Instagram. 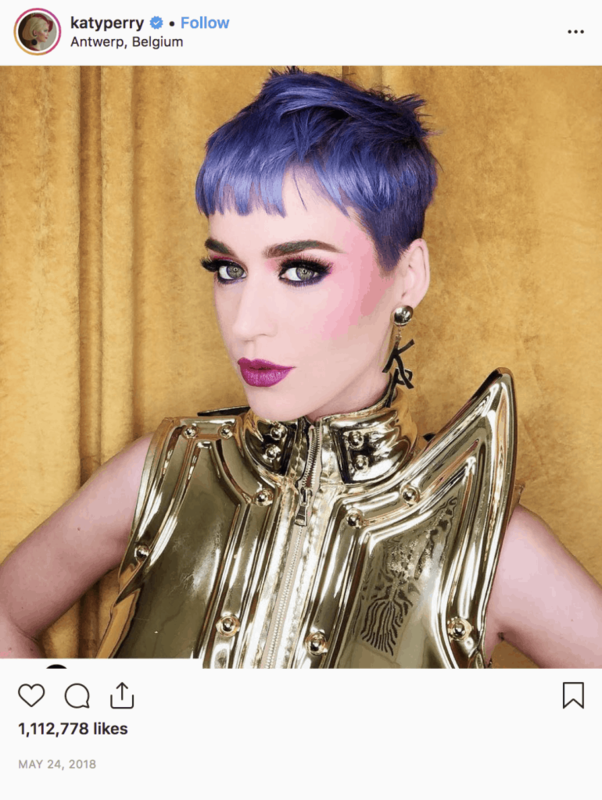 And lucky for us fans, Katy Perry’s Instagram is filled with color and whimsy, just like the star herself. The pop star boasts more than 74 million followers on the platform. Those millions upon millions of people follow Katy Perry’s Instagram for an escape into the pop star’s lavish life. So what can you expect to see if you follow the famous singer? 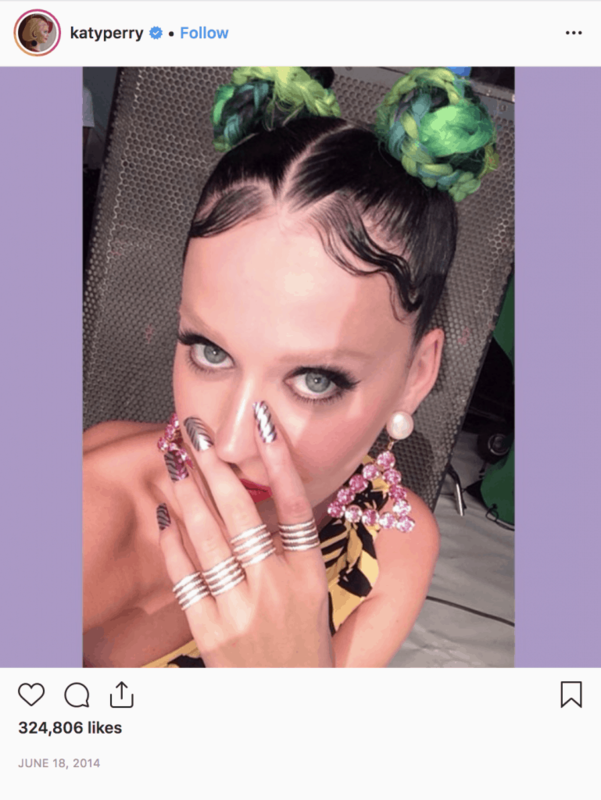 We’re taking a look at the type of posts you’re guaranteed to see on Katy Perry’s Instagram. Who wouldn’t want to stare at Katy Perry all day? 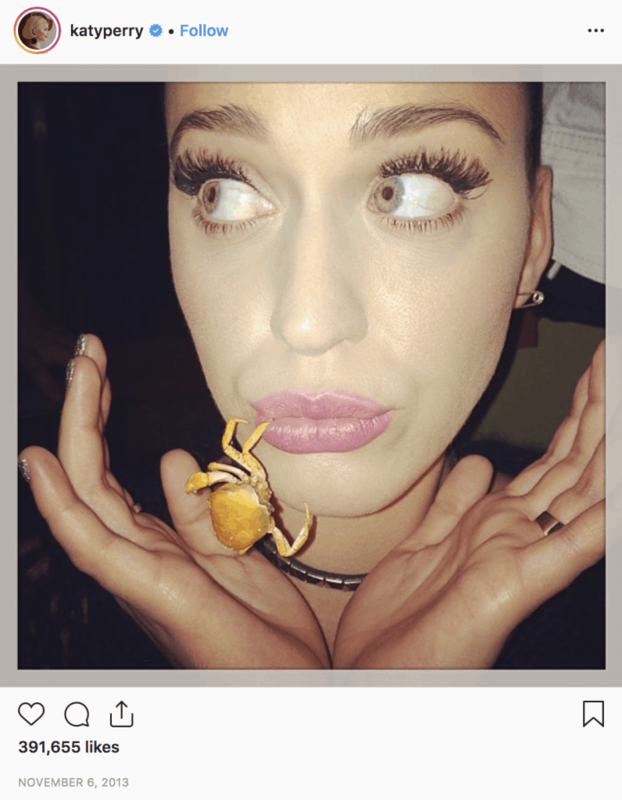 Fortunately for fans, Katy Perry’s Instagram is filled with selfies of the superstar. And when it comes to captions, she always keeps things interesting. When they’re not outright jokes, Katy sometimes just nails it in the caption department with a reference. Who doesn’t remember that “Butterfly” song. Talk about a perfect selfie caption. There was also the time she was on a safari and served another on point caption. 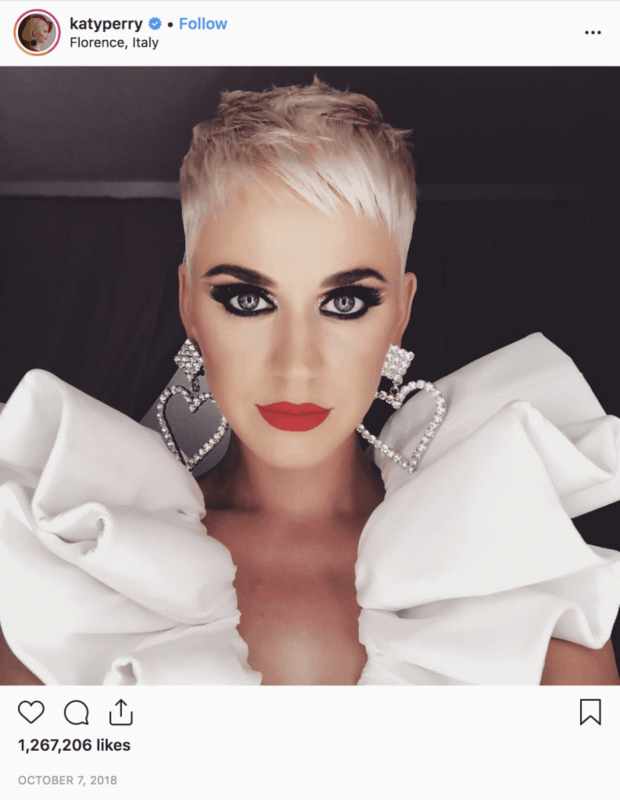 Katy Perry sometimes does her fans a service, posting selfies to show off her amazing makeup, hair, jewelry and outfit choices. Katy Perry is donning a sweet pink number, and her makeup, jewelry and hair accessories match perfectly. Or this gorgeous selfie, where Katy Perry showed off a brand new hair color — purple. Look at that work of art! 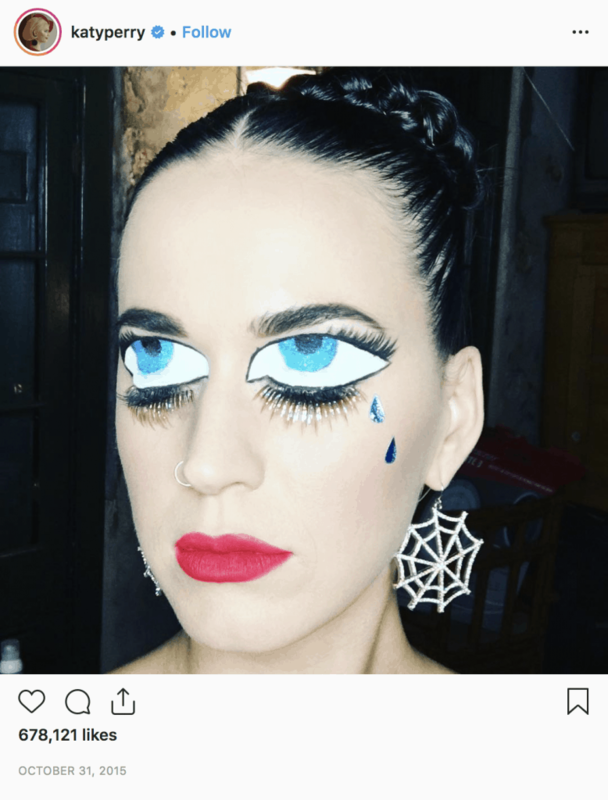 If Katy Perry’s Instagram hadn’t included this selfie, we would have never been able to see that insane detail of her makeup look that day. We also like the close-up snaps of her intricate hairstyles. Check out all the detail on this beauty look — from the hair to the makeup. Whether she’s tacking on a joke, nailing a pun or just giving the fans a better glimpse at her look, we hope the selfies never stop coming. Try this out on your own Instagram. Before posting a simple selfie, try and think of an on-point caption, or just simply tell you followers a joke. Who doesn’t want to laugh while scrolling their Instagram feed? Katy Perry would definitely be proud. 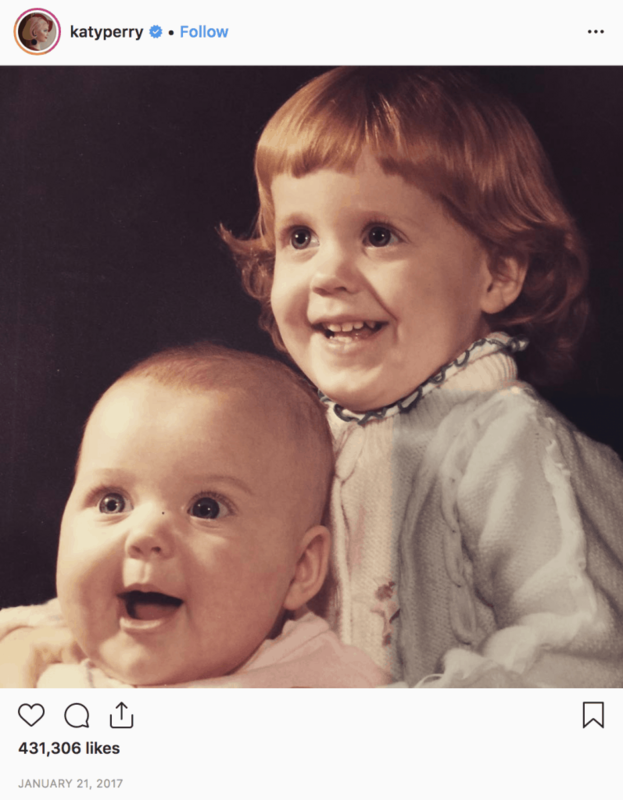 We all know Katy Perry is a funny lady, but her Instagram reminds us regularly. 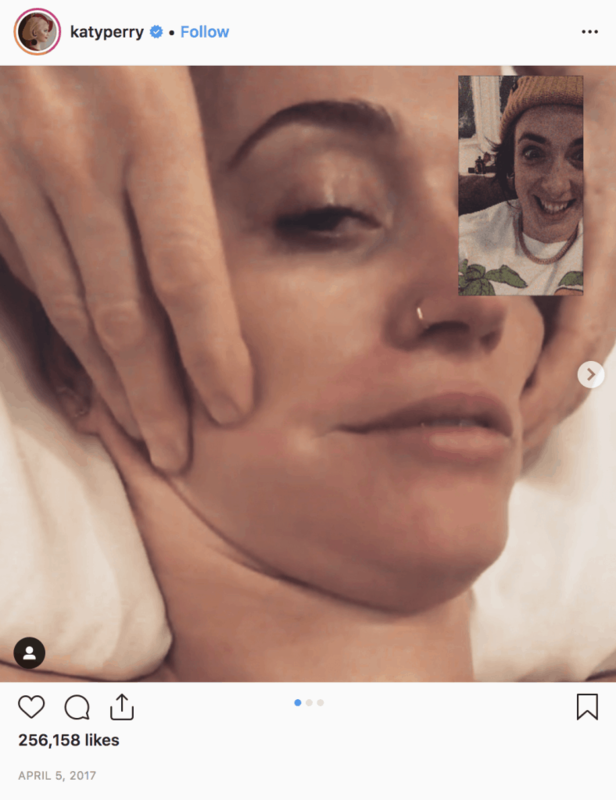 Whether she’s posting unflattering pictures of herself, cracking jokes or posting silly videos, Katy Perry’s Instagram definitely brings the laughs. 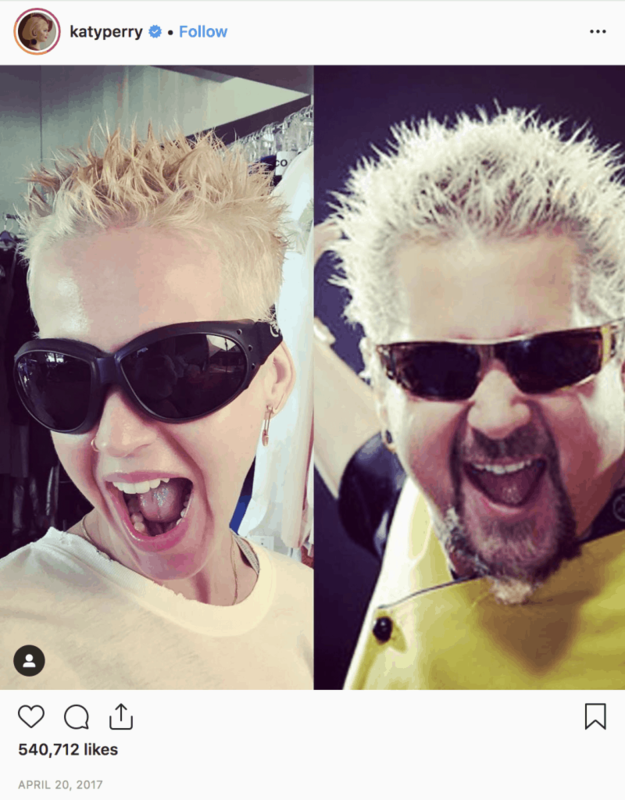 Katy Perry compared herself to food show host Guy Fieri in this hilarious side-by-side of the two. And we have to admit, we wouldn’t have thought this but they kind of do look alike here. 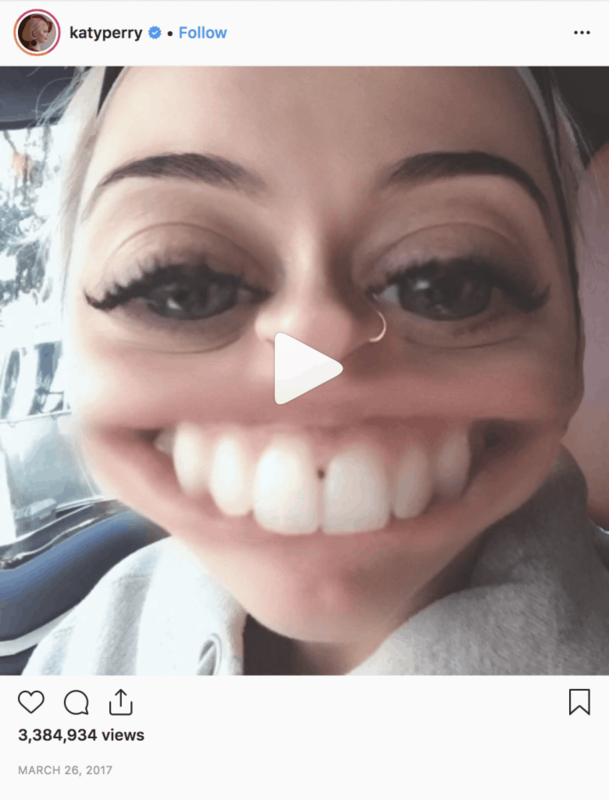 What other super famous popstar would show off snaps of themselves in an unflattering light? We can’t picture Taylor Swift or Selena Gomez doing something like this. 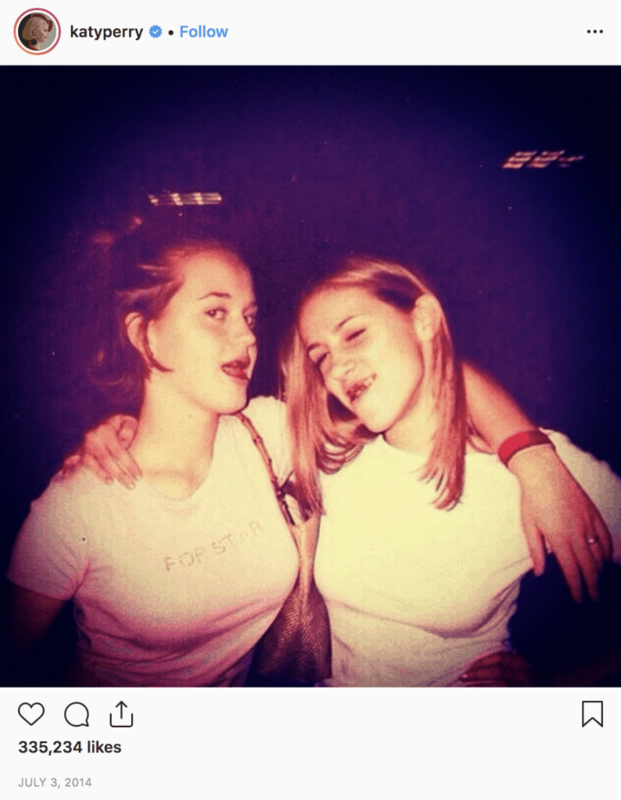 And we love Katy for keeping it real and sharing such funny snaps from her life. Sometimes Katy’s funny content comes from her own misfortune. Like the time she made a joke out of this massive mosquito bite she got while on vacation. That hurts to even look at. Poor Katy. 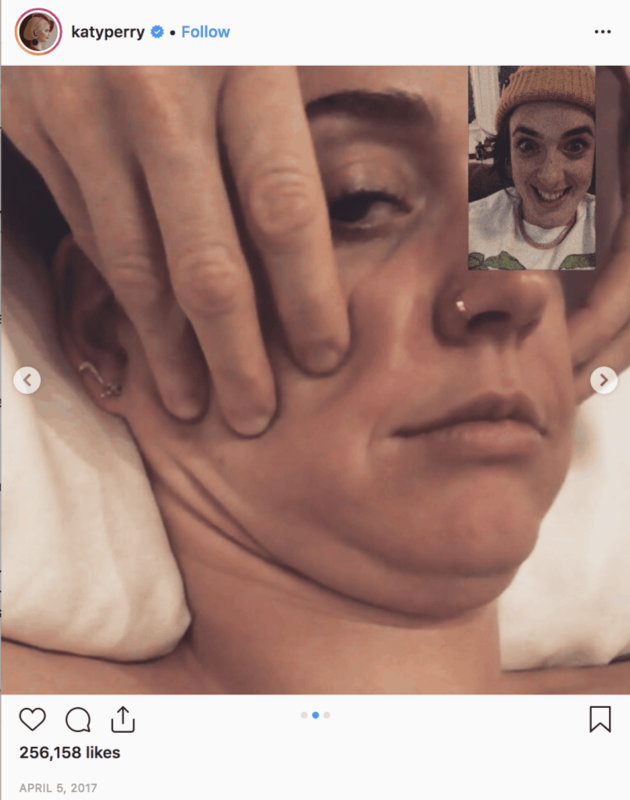 But she doesn’t just post funny photos, Katy Perry’s Instagram also includes some entertaining videos. The Snapchat filter makes it funnier, but seeing someone — much less a very famous celebrity — with something in their teeth is always pretty funny. 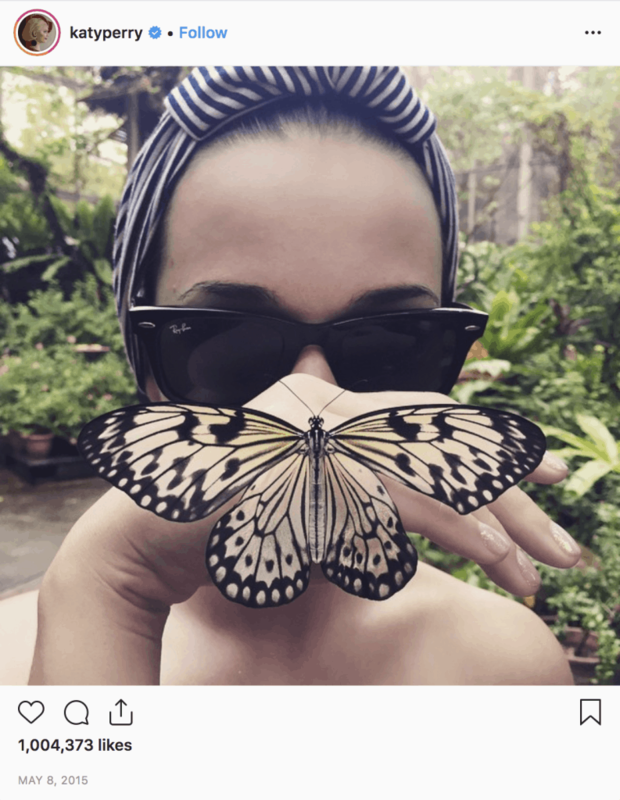 Take a lesson from this side of Katy Perry’s Instagram. Don’t be afraid to laugh at yourself, crack a joke or post an amazingly unflattering snap. 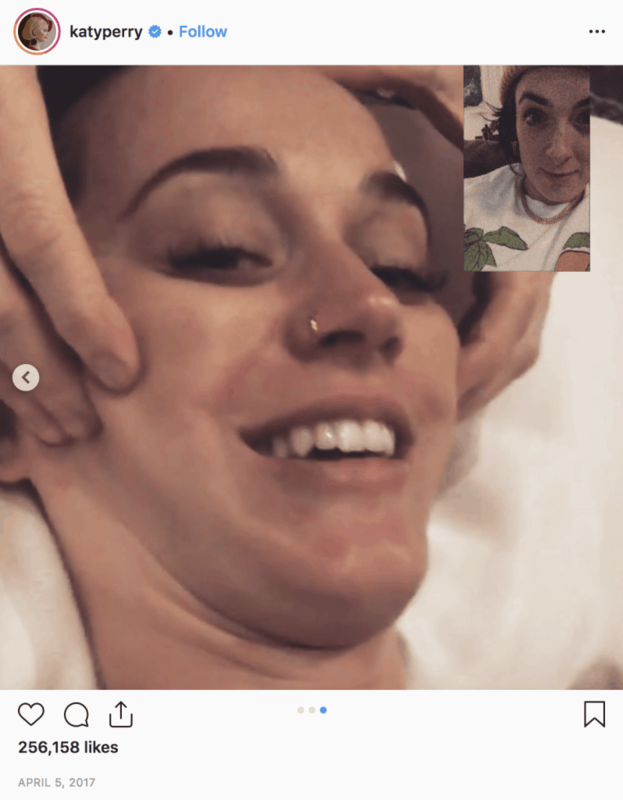 People tend to only post their highlight reel, but Katy Perry is proof that when you just have more fun on social media the magic really happens. 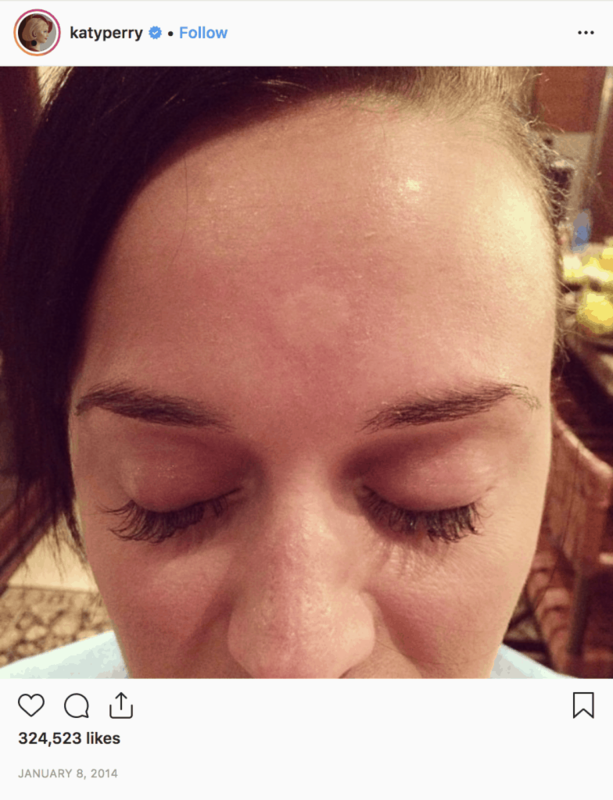 Another one of our favorite type of posts on Katy Perry’s Instagram? The throwbacks! How sweet! She shared the post of herself as a baby alongside her big sister. What a crazy coincidence! Do you have any retro photos of yourself that your followers might like to see? Don’t forget the value of a great #tbt on Instagram. 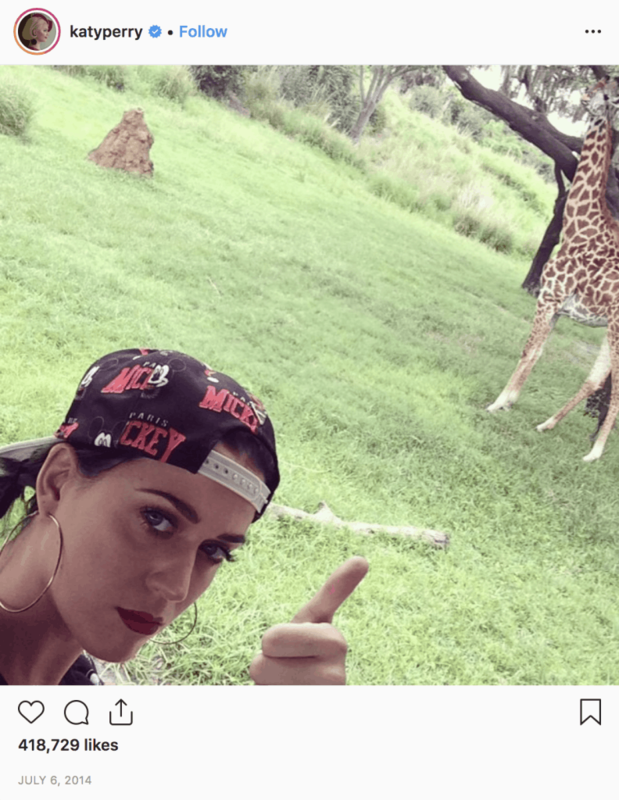 If we had to pick one word to sum up Katy Perry’s Instagram, we’d pick fun. It’s whimsical and hilarious and filled with color that delights the eye. If you’re not yet following Katy Perry, what are you waiting for? You’ll certainly pick up some fun Instagram inspiration while following along with her charmed life.